As our Fall weather here in Western New York is growing colder, I’m thankful I had the opportunity to shoot one more Fall session at my favorite Creekside location. The weather the last week has been turning into cold and windy nights. The wind has been so strong that we had to clear the area of sticks before shooting. Big brother was a big helper with picking up sticks and helping me. 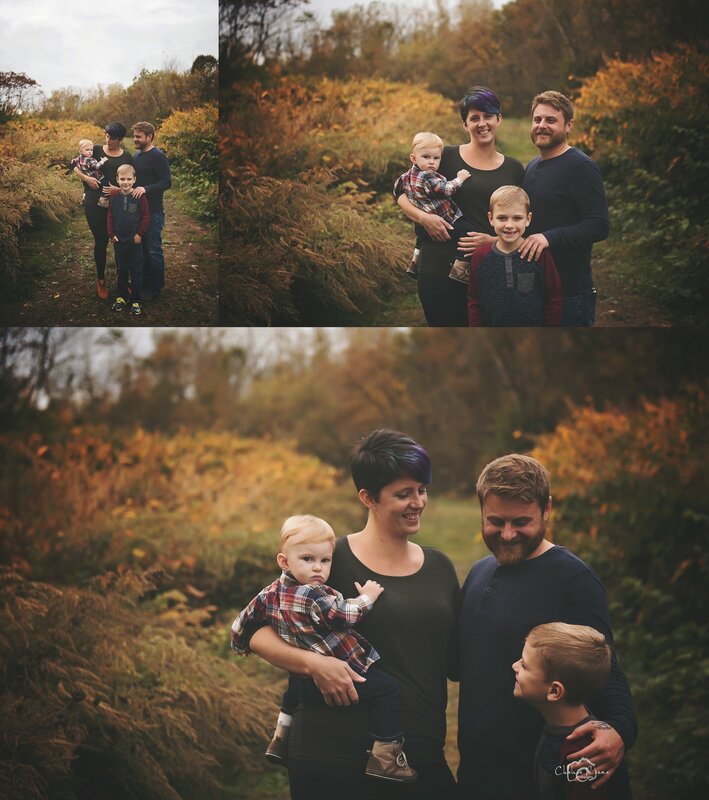 This family from Buffalo, New York was all smiles, enjoying the crisp autumn evening. I always enjoy capturing special milestones for my families, it makes it even more special when I get to see my newborn babies come back. 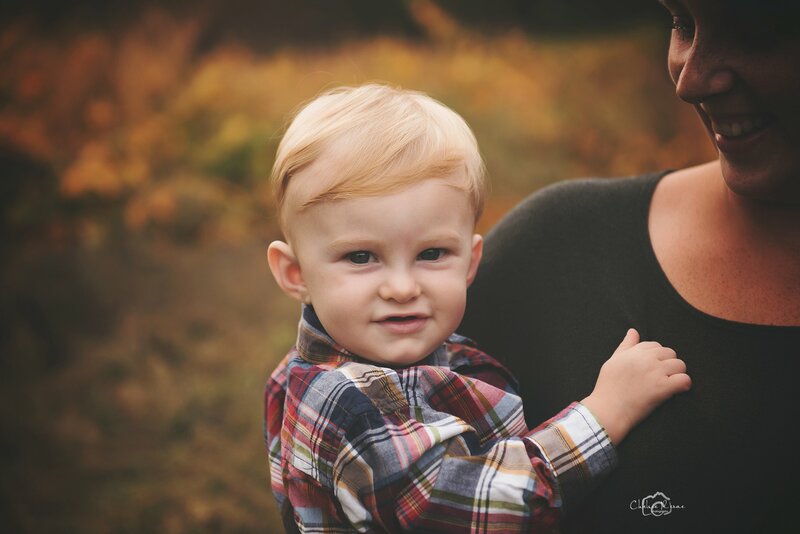 This handsome little guy I remember shooting his newborn session, he’s grown so much in the last year. One of my favorite sessions to do is my Grow with me package. The Grow with me package will capture all the big milestone sessions in one bundle. It includes the newborn session, sitting age session and first year session. All sessions come with full resolution images and the print release allowing you to make prints and products yourself. You can book a Grow with me package or any other session you would like here. Little brother has grown so much since his newborn session. If your interested in booking a newborn session you can do so here. While Big Brother and I were clearing sticks to lay the quilt down, we found a surprise. There was a deer in the brush. Its never a boring session when we get to be and outside exploring nature in Western New York. This is why outside sessions are my favorite. Big Brother was proud to show his changing smile, these moments are wonderful to capture and keep forever. Chelsie Renae Photography is located in Nunda, New York, Chelsie Renae Photography offers custom portraits in Rochester, New York and surrounding areas. 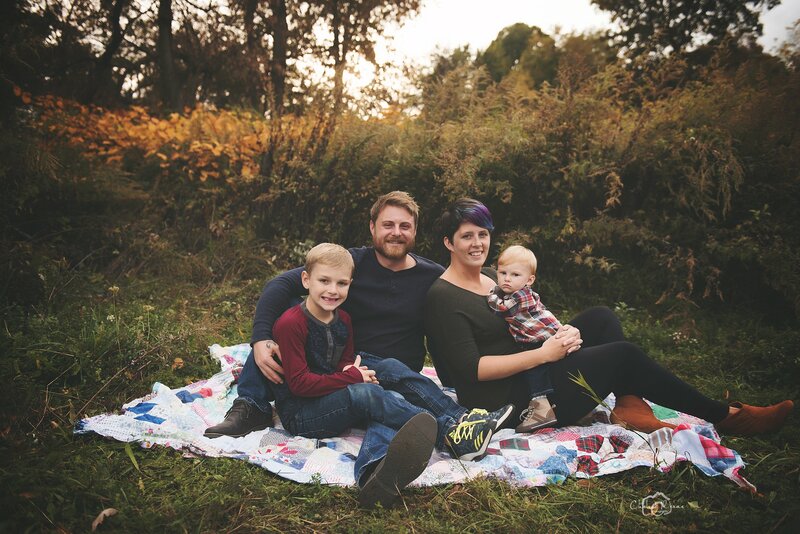 Chelsie specializes in Newborn Photography and capturing Family Milestones in natural settings. Through Chelsie Renae Photography you will have a story of these special moments of your life forever. Come share your family story with me and book your session today.